To ensure the safety and security of employees, guests or customers inside a building, it is critical to keep unauthorized entry at bay. According to a Security 500 poll, security professionals ranked workplace violence and active shooter incidents as the #1 threats facing their organizations today. Bottom line: if someone without access were to infiltrate a building, the consequences could be disastrous. This is why more and more Fortune 500 companies are selecting turnstiles to secure the entrances to their buildings, at the perimeter fence line, front lobby, and even on upper levels, just off the elevator banks. Let's explore the benefits of turnstiles, and the capabilities of the various models available. Organizations in every industry around the globe are deploying turnstiles to mitigate tailgating. 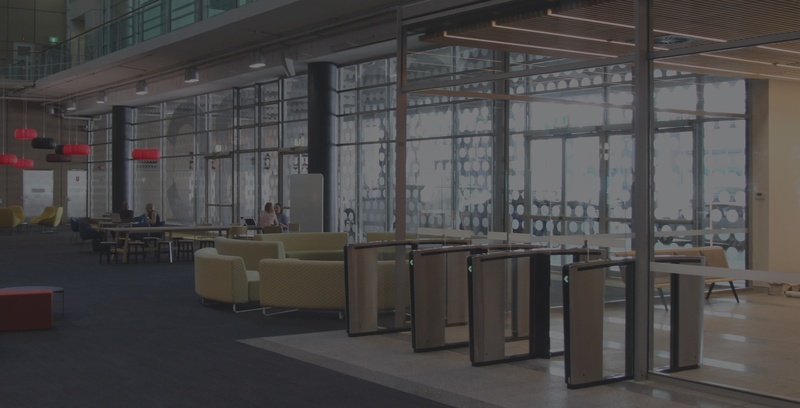 Security professionals are seeing the benefits of using different turnstile models in multiple areas of their buildings as part of an effective overall physical security plan. Below are just four benefits of rolling out security turnstiles. Despite having an access control or biometric device mounted on a swinging door to control entry, people can still present their credentials and hold the swinging door open for others to walk through as well, including coworkers, friends and even strangers. This is referred to as “tailgating.” Oftentimes, your employees have good intentions, but they don’t want to be seen as rude by closing the door in someone’s face. Turnstile entrances take the pressure off your employees simply because a person doesn’t have to make a decision to hold the door open or not. The turnstile, by design, only allows one person to enter per valid credential. A person intent on sneaking into a building will think twice when he or she sees a turnstile blocking the entryway. Certain turnstiles are also available with full-height barriers and sensors that detect attempts to climb over or crawl under the units. If an attempt is detected, some types of turnstile models will sound an alarm, alerting nearby security staff that a quick response is needed. Security officers are your critical first responders should something go wrong. Yet, these officers can be easily distracted while executing their daily responsibilities, like engaging visitors or employees. Turnstiles aid security officers­ in their efforts to keep unwanted persons from infiltrating the building. While all turnstile models require supervision (since it is possible to defeat them), they do reduce the burden on security staff, allowing them to focus on their primary job duties rather than verifying credentials of authorized individuals. Turnstiles can accommodate nearly any access control or biometric device via a dry contact at the I/O control board. This means you can use the devices that are already implemented at your facility and easily tie them into your new entrances. The turnstiles are also capable of working in tandem with other security equipment already being utilized at your building. Read on to the next section to learn more. 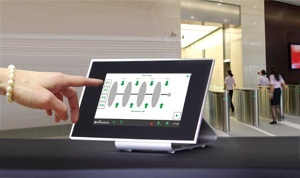 Access control or biometric devices are really the “heartbeat” of a turnstile. Due to this fact, these solutions are often referred to as “access control turnstiles.” As mentioned above, a turnstile can work in tandem with virtually any authorizing device(s) – everything from the traditional card readers and key pads, to bar code and QR code readers, and even the non-traditional fingerprint and iris scanners. But, while all these readers will work with security turnstiles, they differ greatly in size and shape, thus some integration techniques may be necessary for seamless operation. Turnstiles come standard with specific areas for mounting access control or biometric devices, but external pedestals, panel cut-outs, and other options are available for a perfect balance between security and aesthetics. And while integration is possible with any access control device, there are still some things to consider to make sure the system operates smoothly. We’ve seen a few integration mistakes in the field that you’ll want to be sure to avoid. For example, at times an organization will select an access control device that actually works too quickly to be effective. Or, the device is just not intuitive for the user, either in operation or placement within the turnstile. 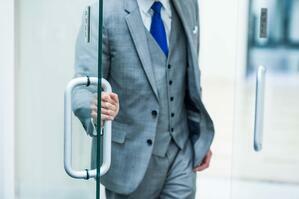 Speak with your entry manufacturer for tips on seamless integration. 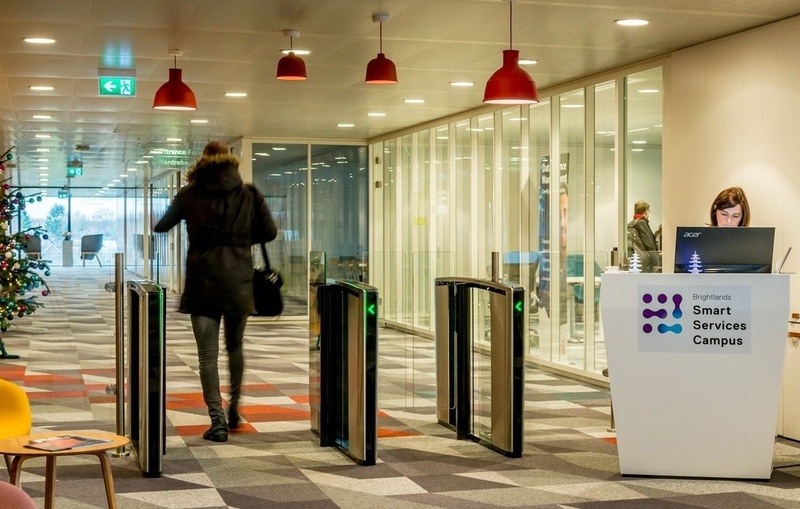 When connected to an access control system, your turnstiles are also capable of working in conjunction with other security equipment you already have in place, for example, cameras and visitor management systems, etc. This integration allows the security manager to collect valuable metrics, such as the identity of each person inside the building, their physical location, the time they entered and/or exited through the turnstiles, any tailgating attempts, etc. These metrics can aid in spotting activity trends and even prove the value of the security spend. These modes can vary slightly depending on the model of turnstile selected. The control panel also gives staff the ability to schedule all of the turnstiles in a location to operate in a certain way under specific conditions. For example, all of the turnstiles can be set to “free exit” during peak lunch times, allowing staff to flow out of the building without having to present a credential. Or all of the turnstiles can be turned from “normal” to “locked” at the end of the workday. The capabilities of the security entrances, such as card stacking support, the extra weight of optional laminated or bullet-resistant glass, etc. In the event of a power loss or emergency, including a fire alarm, turnstiles operate in one of two ways: fail-safe or fail-secure. Turnstiles set with a fail-safe operation will unlock and open to allow users to freely exit. Turnstiles configured to a fail-secure operation will lock down, preventing access. The operation of your turnstile under these situations is determined at the time of order, but can be altered in the field. Our entry experts are available to discuss the specific needs of your facility and advise you on the best plan of action. Under the Americans with Disabilities Act (ADA), published by the Department of Justice, all entryways must be accessible to people with disabilities. This includes any entrance outfitted with turnstiles. Depending on the model of turnstile selected, there are multiple options for complying with ADA. For example, optical turnstiles are available in wide lanes with a 36” passage area, capable of accommodating wheelchairs. 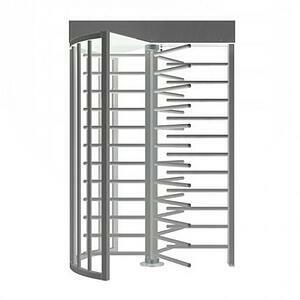 Full height turnstiles are also available in a wide model. If a wide model isn’t available or isn’t desired, there are a variety of ADA-compliant, swinging access gates that can be installed next to a turnstile that are designed to aesthetically complement every model of turnstile available. Now that you’re convinced that a security turnstile is necessary for preventing unauthorized entry into your facility, how do you select the right model for each location of your facility? While some entrance manufacturers will try to recommend a solution simply because it is all that they provide, we at Boon Edam have the unique ability to truly consult you on the best solution for your application. Why? Because we make them all. Read on to learn more about each model. 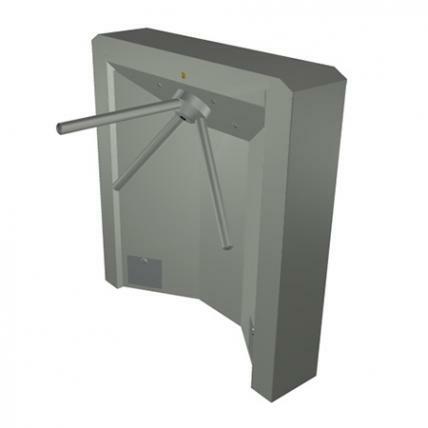 Tripod turnstiles are 3-arm, rotating units that work in tandem with security personnel to control large crowds of people, entering or exiting a facility. These turnstile models are selected for their ability to withstand abusive outdoor conditions and large amounts of traffic. In comparison to other turnstile models, tripod turnstiles offer the lowest level of security. These crowd control solutions manage the flow of people, but do not have the ability to detect attempts to crawl under or jump over. They have low barriers that provide a deterrent, but won’t stop the determined intruder. Guard supervision is always necessary. Full height turnstiles consist of 3 rotating sets of arms that rotate 120 degrees per valid authorization, allowing just one person through. 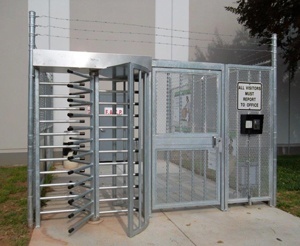 Full height turnstiles are designed to withstand abusive outdoor conditions, and are typically found at the fence line of building perimeters. Space-saving tandem models are also available for smaller spaces that need to accommodate higher levels of traffic. Providing a higher level of security than tripod turnstiles, full-height models are more of a deterrent against intrusion since they cannot be defeated by attempts to crawl under or jump over. However, they can be defeated, and there are no sensors to alert nearby guard staff to respond to such attempts. Optical turnstiles are made up of two opposing cabinets with swinging or sliding barriers that create a lane for passage. Optical turnstiles use sophisticated sensors to detect presence inside the lane, and can even tell the difference between two people entering and one person with a rolling bag. While most optical models have some sort of barrier, there are barrier-free versions available for those who desire a more passive security approach. 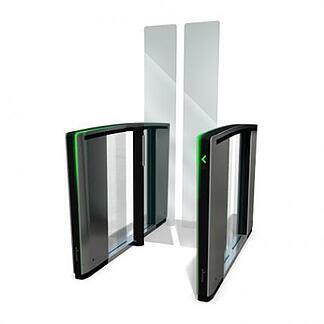 Optical turnstiles step the security level up through their use of sophisticated presence sensors. Any attempt to bypass the turnstile will be detected and the unit will sound an alarm to alert nearby staff for quick response. Optical turnstiles can be defeated, though, so guard supervision is necessary at all times. There are some features that can be included to increase the security level of an optical turnstile. Why are security doors and portals included in a list of turnstiles? Well, often these solutions are mistakenly called “turnstiles” by security professionals. It is critical to also understand that there is a solution that offers a higher security level than even the optical turnstile. Security revolving doors and mantrap portals combine full-height barriers with sophisticated sensor systems to provide the ultimate in tailgating and piggybacking mitigation. These models are so good at what they do, that they do not require guard supervision. They each provide valuable metrics data that can actually allow a security manager to measure their building’s penetration risk. Security portals also provide true two-factor authentication, ensuring that not only one person can enter per authorization, but the right person. 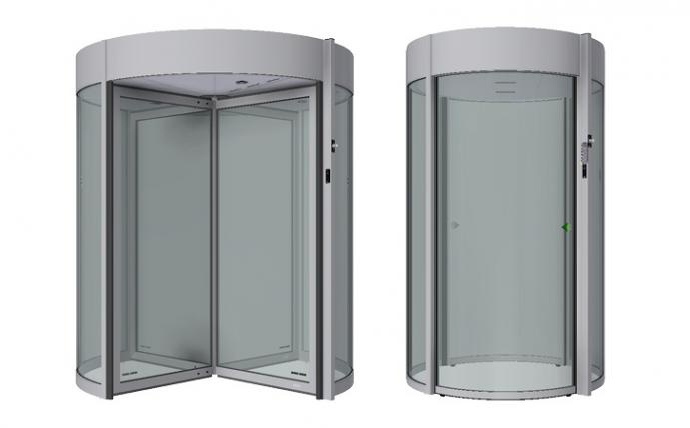 Providing the highest level of security available in an entrance, security revolving doors and portals completely prevent unauthorized entry without interference from guard staff. 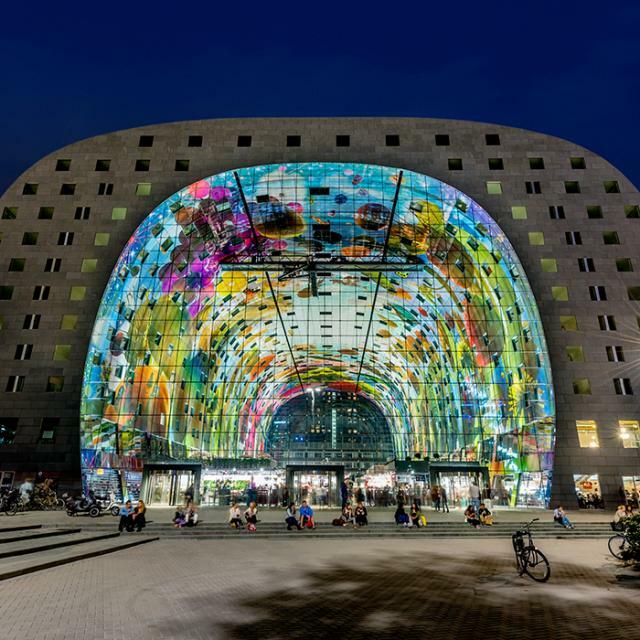 These solutions employ an overhead sensor system called StereoVision 2® that is capable of discerning whether one or two people are inside the entrance at the same time. And if more than one user attempts to pass through the door or portal on a single authorization, the system will not only detect the attempt, but completely rebuff it. As you’ve read, turnstile entry systems are a necessary component of an effective physical security plan. They mitigate tailgating attempts, take pressure off your staff and can integrate with virtually any access control or biometric system. Whatever your security goal and whatever location around your facility, there is a turnstile solution to fit your needs. Please contact us at sales@boonedam.us or 1-800-334-5552 to discuss your requirements with one of our entry experts.